A variety of iPad covers are available in the market. You might find the first letter of your name on at the back of a few covers but you cannot get a completely personalized iPad cover. The only and the best way of using a personalized iPad cover is creating one. Get a custom handmade sleeve for your precious iPad. I have worked on some attractive DIY projects and natural appeal of cork has always lured me. 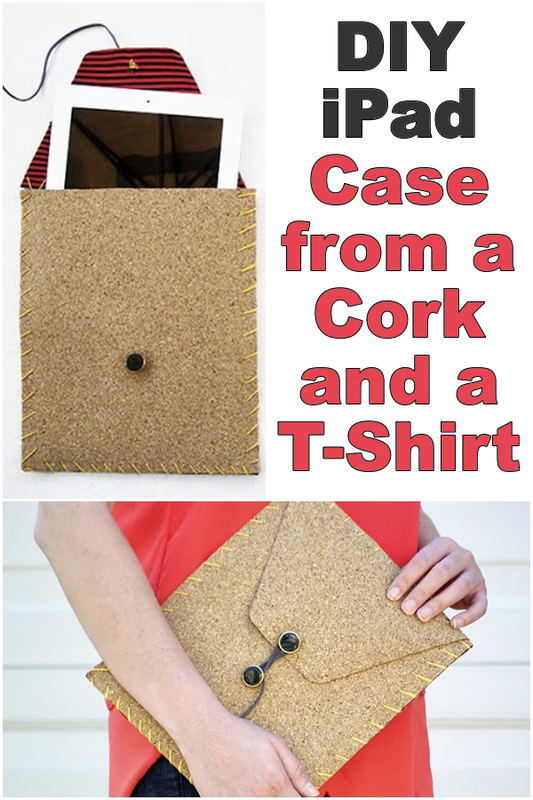 There are many fashion accessories prepared from cork. Self-adhesive cork sheets make the job very easier because you can easily line your iPad cover with an attractive fabric. A t-shirt would probably be a good choice. 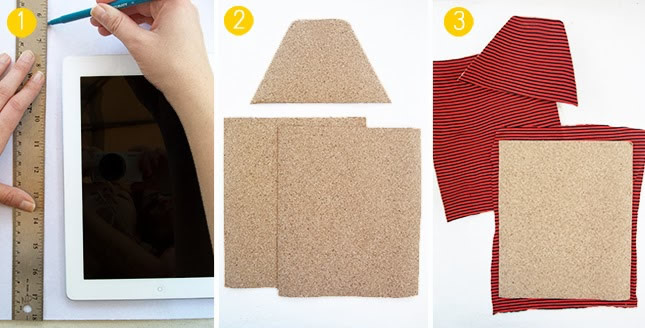 Whether you are using an old T-shirt or a new one, this method can work the best for creating a stylish clutch. Let’s check the tutorial to prepare your own DIY iPad case. A self-adhesive cork roll (regular cork may not meet your needs if you want to line it with the patterned fabric). A fabric or recycled t-shirt. 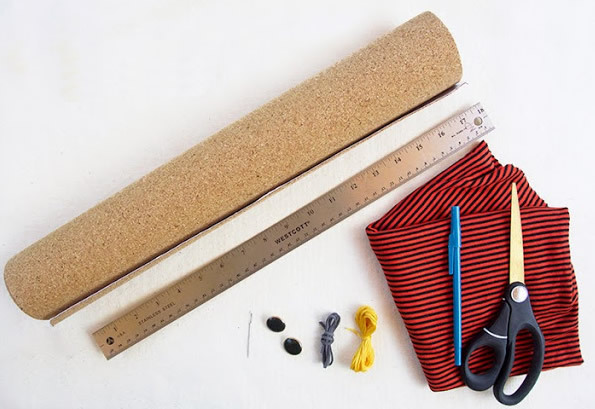 Take the cork roll and lay it over a table or any other flat surface. Keep the adhesive side of the cork facing up and another side down. Now place your iPad over the cork and then trace it to measure the size according to the shape of your iPad. Trace an inch away from the actual side and then cut two equal pieces. These pieces will be at the front side and back side of the iPad case. If you have a standard size iPad, you can cut two pieces of 11”x9 ¼“ in size. To prepare the flap you should cut an additional piece of cork. If you do not want to attach an additional flap, you can keep the backside cork slightly longer so that you can fold it and use it as a flap in the case. I am not suggesting it as a preferable method because cork tends to break apart quickly and therefore your iPad case might lose the flap quickly.